If you have not witnessed an Elliot Eisenberg experience, this is not to be missed! If you have, then you know how significant this event is! This is no ordinary yawing lecture about dry economic trends and what to expect from our industry this year.This will be the most insightful, engaging, humorous, and essential conveyance of Colorado-focused industry indicators that will refocus your business strategies for 2018! 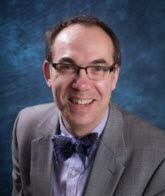 President and Chief Economist of Graphs and Laughs, LLC, and known as the "Bowtie" Economist, Elliot will dart around the room instigating side-splitting laughter while enlightening his audience with critical industry insight. Elliot will specifically address the Colorado market in comparison to national trends. 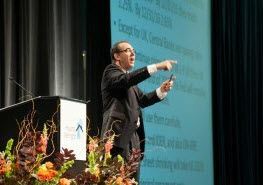 Dr.Eisenberg is the Chief Economist for GraphsandLaughs, LLC, an economic consulting firm that serves a variety of clients across the United States. He is a nationally acclaimed economist and public speaker specializing in making the arcana and minutia of economics fun, relevant, and educational. 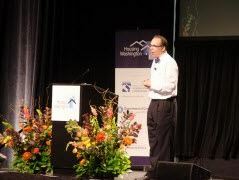 He is a former Senior Economist with the National Association of Home Builders in Washington, D.C., is the creator of the multifamily stock index, the author of more than eighty-five articles, serves on the Expert Advisory Board of Mortgage Market Guide and is a regular consultant to several large real estate professional associations, hedge funds, and investment advisory groups. He has spoken to hundreds of business groups and associations, often as keynote speaker. His research and opinions have been featured in Bloomberg, Business Week, Bureau of National Affairs, Forbes, Fortune, and many other publications. Who Should Attend? Mortgage Brokers and Bankers, Loan Originators, Real Estate Agents, Home Builders, Title Companies, and Appraisers. WHEN: Tuesday, January 23rd 11:00a.m.- 1:30p.m. COST: Members $39 and future-members $49. Have a guest you'd like to bring? All guest registrations $19!! ** Refunds for cancellations not permitted after January 15th!